Wuxi is in southern Jiangsu province, 128 kilometers away from Shanghai. 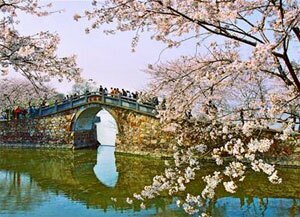 Wuxi is the second largest city in Jiangsu province, a city of affluence and fascinating natural scenery. It is characterized by abundant beautiful rivers, idyllic lakes, unique-shaped caves, bamboo forests and tea gardens. Standing by the Beijing-Hangzhou Grand Canal, Wuxi is a significant historical city and has been an important trade center in the area for centuries. The completion of the Grand Canal in the Yuan Dynasty was a major factor in the city&apos;s rise, but its role gradually declined as the transportation route fell into disuse. Concrete buildings and skyscrapers are rapidly entering the city in recent years. The city has been making a come back economically, although this comes somewhat at the cost of losing the small city charm. Wuxi is in the south of the Yangtze River and has a mild and humid climate with four distinct seasons. Spring is the best time to travel. May and July are the rainy seasons. Summer is hot and the highest temperature can occasionally reach 39 centigrade during daytime. Winter is cold and it snows sometimes. Wuxi has much to offer travelers due to its long history and the great location. Its natural scenery and historic sites as a pearl along Taihu Lake make it an ideal side trip when visiting Shanghai, Suzhou or Hangzhou. The city is bordered by the famous Taihu Lake and the Grand Canal also passes by the city and has been an influence on its prosperity for thousands of years. 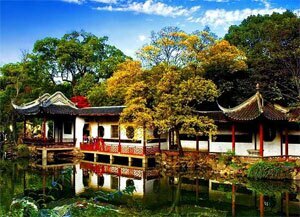 The most notable Wuxi attractions like the Turtle Head Isle, Liyuan Garden and Plum Garden are near Taihu Lake. Wuxi is served by a small airport, which has some connections to Beijing, Foshan and Kunming. Wuxi is at the Shanghai-Beijing railway line. Around 60 express trains stop at or pass through Wuxi railway station each day. Direct train connections to almost all the major cities are available. Trains run along China&apos;s east coast to Shanghai, Suzhou and Hangzhou and beyond, further to the norh such as Beijing, southwest, like Chengdu and the northwest including Xi&apos;an. There are three long-distance bus stations in Wuxi. buses leave Wuxi for the nearby cities including Shanghai, Hangzhou, Suzhou and Nanjing daily. Wuxi&apos;s main long-distant bus station-Wuxi Keyun Zhongzhan: No 18 Guangqin lu, a few minutes&apos; walk from the railway station. A tourist bus leaves from the railway station daily from 7:00 am to 4:00 pm every 25 minutes. The started price is RMB 8 or 10 RMB depending on the vehicle. Wuxi has built many luxurious hotels recently but lodgings there are still relatively expensive. Alternatively, some university guesthouses may offer budget accommodations. Wuxi&apos;s hotel restaurants are among the city&apos;s finest, specializing in Jiangsu-style seafood dishes. 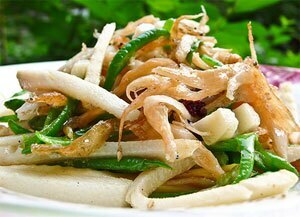 For those have neither the time nor appetite, small noodle and dumpling shops clustering around the Jiefang Xi Lu provide good options. Add: No,90, Hangcang Lu; it provides nice local food in a fine dining atmosphere. Add; No,222 Zhongshan Lu. it serves roasted duck, duck dishes and delicate dessert.